"Great Service Is The Heart & Soul of Our Business"
Buying a Home Is a BIG decision and even bigger commitment! If your looking to purchase a home, you should consider hiring a Buyers Agent to represent you and help you find the home that fits your needs and budget. If you are a First Time Home Buyer, you may be wondering, "What is a Buyers Agent?". Click here for a complete definition of Buyers Agent (also known as Buyer's Agency, and Buyer's Brokerage). 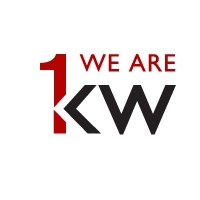 Our Team proudly serves the Sarasota and Manatee areas applying the Keller Williams Realty belief system. We take pride in our experience and knowledge and would be honored to assist you in your next real estate decision. Integrity, do the right thing. Communication, seek first to understand. Teamwork, Together Everyone Achieves More.